Naeem Waiz ( نعیم واعظ ) the great grandson of Rev. Rehmat Masih Waiz (q.v.) was born in Rawalpindi. During his youth, he actively participated in various movements that effected the Christian Community. In 1972, he took part in a long march along with 24 other young men, walking from Sialkot to Rawalpindi to register their protest to the nationalization of Christian institutions. In 1974, Waiz was appointed editor of a Christian monthly magazine, Aftab (آفتاب ), and contributed significantly to the cause of Christianity in Pakistan through this medium. In 1976, he was appointed editor of a fortnightly film magazine. However, as his first love was always for his own religious community, he left that post and joined the fortnightly magazine, Shua-e-Noor ( شعاع نور ), in 1983 as its editor. In 1990 he moved from Lahore to Karachi where he actively participated in community and political life from the platform of Pakistan Peoples Party (PPP). In 2004 he migrated to UK, where he continues his literary activities. The Christian champion of literary clan* Subh-e Sadiq Louise ( قلم قبیلے کا مسیحی سورما - صبح صادق لوئیس ) was born in the home of Allah Ditta Francis and Jane Zainab Bibi on 15th September 1928 in the historic city of Lahore (now in Pakistan). He was the eldest among the six siblings. He was baptized into the Catholic Church at the tender age of nine by the Rev. Father Ruffen. It was as this ceremony which took place at the Catholic Church Anarkali (Lahore) that he was given the name Louise. Even though as a literary figure he tried to stick to his rather poetic name, Subh-e Sadiq, the radio announcers and TV anchors always referred to him by his complete name Subh-e Sadiq Louise. He was educated in Lahore where for three years he was privileged to study under the guidance of Master Habib Ullah Quraishi. On 03 March 1957 he married Rashida Elizabeth, and was blessed with three sons and three daughters. He served as an editor of the Nirali Kitabain ( نرالی کتابیں ) from 01 February 1987 onward and then as an editor to Ibadat (عبادت ) from 1995 to 2010. By nature Louise was attracted to literary pursuits and was a man of vast study and observation. Though he tried his pen in almost all types of literary endeavors, his main field of achievement was playwriting His first short story ever published was entitled Muhabat (محبت). He organized a literary society with the name Bazm-e Tamseel (بزم تمثیل ) in 1952, and from its platform his first stage drama Awaz ( آواز ) was played on 25 April 1952 on the stage of Bert Institute (Nach Ghar), Lahore. Thus started the series of his plays which popularized him as a playwright. His other plays that followed were, Fateh, Tooma, Roshni, Munnaji, Tees sikay, Noor ka zahoor, Bethaleham ka shahzada, Sera'ay kay bahir, Jab jab dukh kay badel chha'ay and several others. His literary output and editorial services were recognized by other as is evidenced by the following awards that he received. 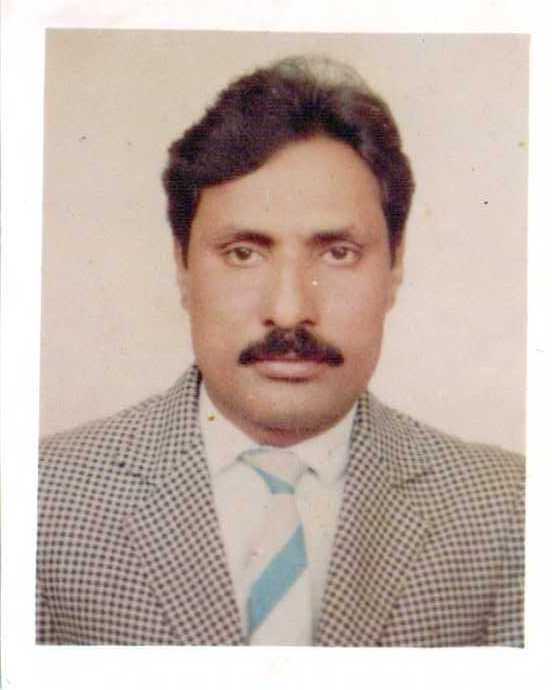 On 25th September 2011, after contracting dengue fever he died in Shalimar Hospital, Lahore, and was buried in Masishi qabrastan on 03 October 2011. * Title given by Professor Vincent Pace Aseem Salibee (q.v.) (Ref. Tadeeb (Sept./Oct. 2011), Vol.10. Issue no. 05. Padree Mubarik M. Gill (پادری مبارک ایم گل ) , from Lahore, had a spiritual experience in 1991 which resulted in his acceptance of Lord Jesus as his personal Saviour. In 2000 he founded the Great Commission Evangelist Church and currently serves as its Chairman. In 2010 his first theological treatise, Knowing God in the Old Testament (عہد عتیق میں خدا کو جانیں) was published. This small but compact book of just over fifty pages was reviewed by Pastor Majeed Naz Ashiq. Dr. Timothius Nasir was (ڈاکٹر ٹیموتھیس ناصر ) was born on 10th December 1947, to Dr. Kundan Lal Nasir, the renowned Christian Scholar and the founder of Qalam-e Haq (کلام حق ), the flagship magazine of the Faith Theological Seminary, Gujranwala, Pakistan. In addition to studying religion and gaining deep theological insights from his father Timotheos Nasir developed many other facets of his personality. From early childhood he expressed his desire to serve his country as a soldier. To this end, in 1971, Nasir joined military service with the armed forces of his beloved Pakistan. His dedication and devotion helped him rise in the ranks. He retired from the armed forces in 1986 as a Major. 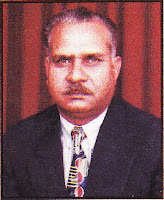 In the same year he joined the Faith Theological Seminary of Gujranwala as the Principal. He served as the Moderator for The United Presbyterian Church of Pakistan from 1997 to 2001 and was appointed a Presbyterian Bishop of Pakistan in October 2001, a position he held for the remaining days of his life. Following his father's footsteps he proudly defended the orthodox Christian faith through his lectures and articles which appeared in various national and international magazines. He also served as the Managing Editor of the monthly magazine Qlam-e Haq from 1995 until his death in 2011. Almost all his writings have appeared under his preferred title Major T. Nasir. 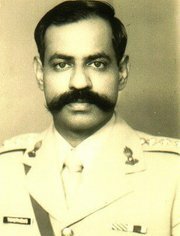 Major T. Nasir was a widely read man with an insatiable hunger for knowledge and a huge love for books. He enjoyed reading and writing books about religious philosophy as well as military strategy. He has authored the following books in Urdu. He also published the following three works in English: Sun in the East, My days in Uniform, and The General. The last mentioned book is about his military hero General George S. Patton. Even though the above listed works would have been enough to earn anyone an enduring place among the highly respected Christian Urdu writers, Major T. Nasir also published over two thousand articles on irreligious, ecclesiastical, national and international issues. Nearly two hundred of these articles were apologetic and or polemical in nature, penned to answer critics of various aspects of Christian faith. 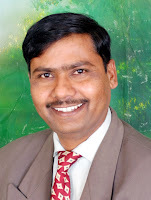 Professor Dr. Arthur James ( ڈاکٹر آرتھر جیمس ) is the current principal of the Gujranwala Theological Seminary Gurjanwala (GTS), Pakistan. He was born in 1949 to God-fearing Christian parents, who had ditcated him to His serivce even before his birth. He graduated from Gordon College Rawalpindi in 1968 and proceeded to a teaching career in Christian High School Martinpur. However this turned out to be a short venture, as after only a few months he joined the GTS as a student where he completed his graduation in theological studies in 1972. This led to his ordination as a pastor in the same year. The following year his thesis earned him Master in Divinity degree. In 1979 he started teaching at his alma mater. Between 1983-84 he attended Princeton Theological Seminary in USA and returned home after successfully receiving MTh degree. In 1990 he was appointed the Principal of GTS, a position he still holds.